Point of Sale Systems - POS Plus, Inc.
With more than 30 years of point-of-sale (POS) market leadership, Toshiba and its network Partners like POS Plus, provide retailers of all sizes store solutions that can help increase sales and reduce costs. NCR is leading the way in the new world of retail interactions, helping retailers interact, transact and connect with consumers in revolutionary new ways. NCR manufacturers Point-of-Sale Systems and Peripherals, including terminals, all in ones, printers, cash drawers, and scanners. NCR is also the global leader in self- and assisted-service. NCR’s kiosks and self-checkout systems are changing the way retailers interact with their customers. 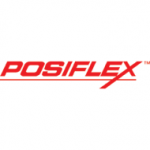 Posiflex has four primary objectives – provide revolutionary technology, reliable quality, reasonable pricing and recognized service. For over 25 years we have designed and manufactured Point-of-Service (POS) and industrial touch terminals. Recognized as a pioneer and leader in the industry, Posiflex has been awarded more than 30 patents for innovative design. In partnership with software application companies, Posiflex’s products are sold worldwide through VARS and distributors to various vertical industries. Posiflex’s comprehensive suite comprises of a wide range of peripherals, terminals ranging from small footprint electronic cash register replacements, to POS and kiosk touch terminals, to robust back office file servers in two ISO 9001/9002/14001 certified facilities. 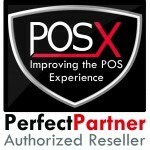 Established in 2002, POS-X is a company born to fulfill the need for fully integrated POS solutions for today’s retail and restaurant operations. Designed to work in harmony with guaranteed performance and compatibility right out of the box, POS-X products remove the guesswork from point of sale! Our commitment to quality and value is uncompromising – POS-X offers better flexibility, more customization choices and unparalleled warranties.